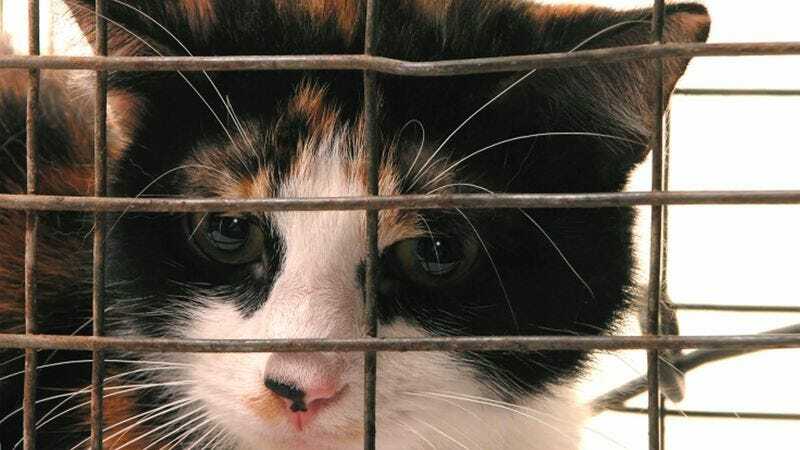 TOPEKA, KS—The moment Laurie and Ronald Bergman indicated their willingness to adopt an abused 2-year-old tabby in need of a caring home, a volunteer at Helping Hands Humane Society began trying to convince the couple to take a much sicker cat instead, sources confirmed Wednesday. “I’m not saying you wouldn’t be happy with that younger cat, but ol’ Sweet Pea here is so sleepy and cuddly, you can do just about anything you want to with him,” adoption coordinator Allison Gilbert said before demonstrating how the cat still appeared to have most of his fur when held at a certain angle. “Look at how sleepy and cuddly he is! And with this little guy you don’t need to worry about spending a fortune on cat food, because Sweet Pea doesn’t have much of an appetite—do you Sweet Pea?” Gilbert reportedly went on to praise Sweet Pea’s coughlike purr and remark on how he must be really happy to see the Bergmans, seeing as he was shaking even more than usual.